Philadelphia Rittenhouse Sq. 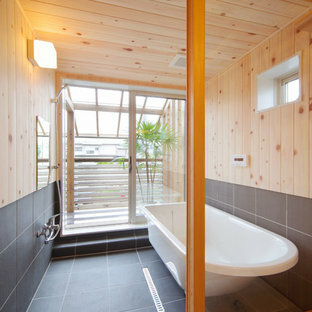 Master Bathroom Remodel "Multi-Functional Oasis"
Entertaining in a bathroom never looked so good. Probably a thought that never crossed your mind, but a space as unique as this can do just that. 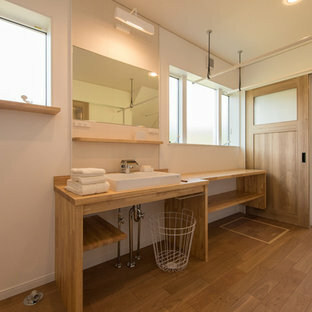 The fusion of so many elements: an open concept shower, freestanding tub, washer/dryer organization, toilet room and urinal created an exciting spacial plan. Ultimately, the freestanding tub creates the first vantage point. This breathtaking view creates a calming effect and each angle pivoting off this point exceeds the next. 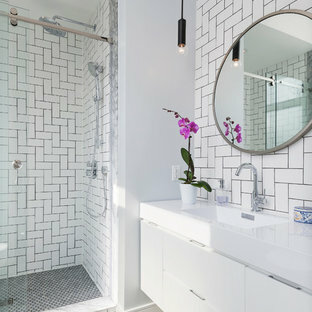 Following the open concept shower, is the washer/dryer and storage closets which double as decor, incorporating mirror into their doors. 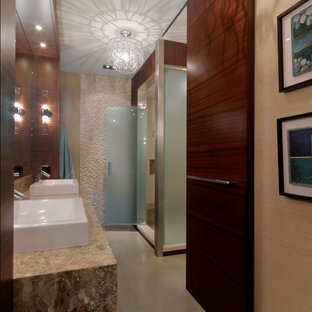 The double vanity stands in front of a textured wood plank tile laid horizontally establishing a modern backdrop. 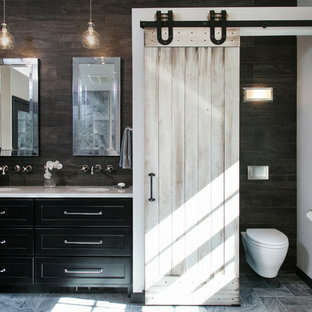 Lastly, a rustic barn door separates a toilet and a urinal, an uncharacteristic residential choice that pairs well with beer, wings, and hockey. 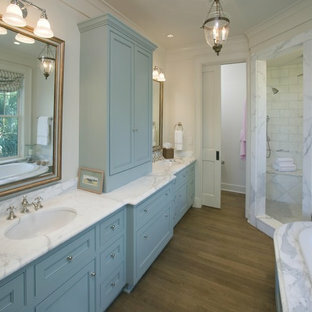 Maximizing space and light while making the space feel luxurious was the goal of this master bath remodel. 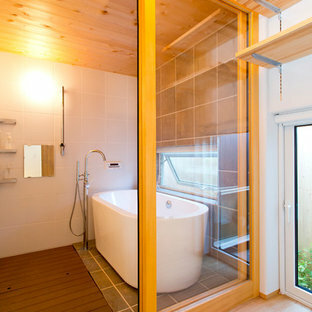 Eliminating the wall between the bedroom and bath and replacing it with sliding cherry and glass shoji screens brought more light into each room.